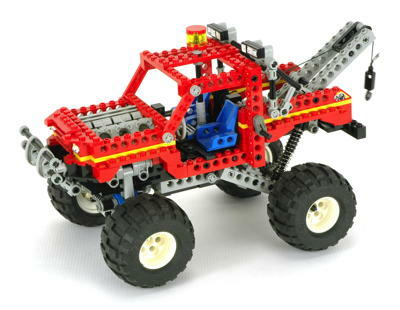 1994 was a landmark year for the Technic line for many reasons. Some things were ended, some things were begun, and some things reached their pinnacle. Two venerable lines reached their end in 1994. The first was the 8000 series of Universal Sets, the last two of which were released this year. There would be a couple of other sets with multiple models in the future, but these were the last marketed as Universal Sets. 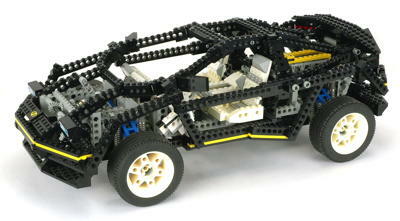 The larger set (8062) is especially impressive and a great way to end the series. The other line which came to an end was the 8800 series. 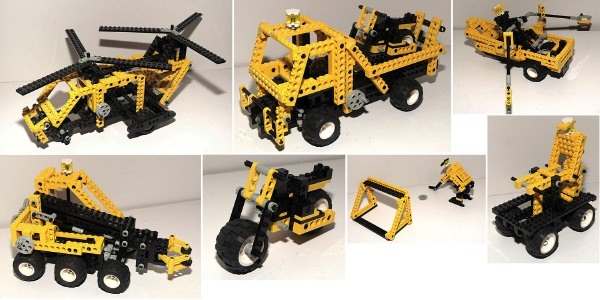 These always represented the "good stuff", the complex Technic models which most fans consider the greatest of Technic design. The set with the highest numerical set number, 8880, would end the series on a high note that would arguably never be matched. 1995 would see a new way of numbering and marketing sets. 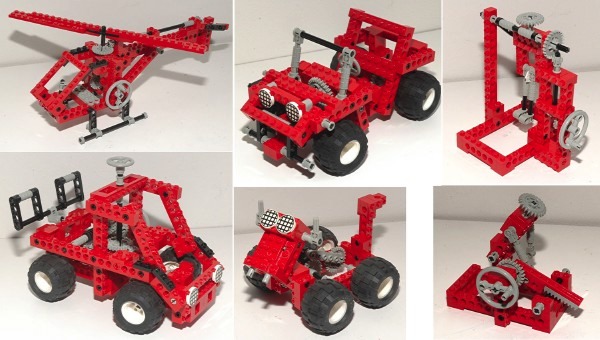 There were 8 sets released in 1994, as many as in any year to date. Unlike later years which would see a proliferation of "mini" models, all of these sets count as real Technic models in their own right. And then, of course, there is the mighty 8880. 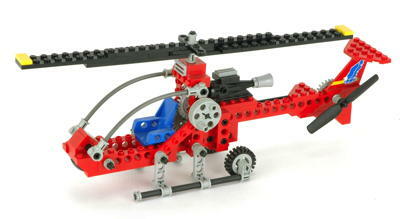 Many consider it to be the best Technic set ever and it is hard to argue with them. It's complexity, part count, and sheer awesomeness have seldom been rivaled. There were also many new parts for 1994. A number of parts made the synchronized manual transmission possible. Additionally, a number of parts released in previous years were finally used to their full potential in combination with these newer parts. 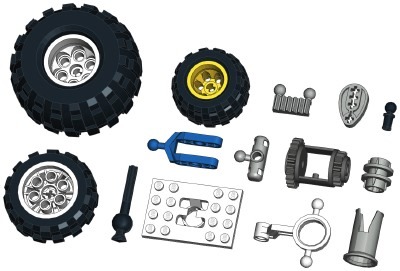 There were also new balloon tires, a new suspension system, a new differential, and some parts unique to the 8880 set. Any way you add it up, 1994 changed everything and is a time around which most LEGO® fans agree the "Golden Age" is centered. A whole new series of rubber "balloon tires" was released in multiple sizes. These are air filled (but unpressurized) tires which are compressible and so feel and behave like real tires. They also have excellent traction on both hard and rough surfaces. 68.8 x 40: These are the largest wheels and tires and were used on 2 models this year. 43.2 x 28: These much smaller wheels and tires were used on 3 models this year including both universal sets. 20 x 30: These medium sized and tires look identical to the older variety, but they are now rubber instead of foam. The wheel now has a rim to lock on the tire instead of a smooth outer diameter like the old wheels on 8840. A pair of parts were released to allow construction of a ball joint based suspension. There is an A-arm (pictured in blue) with a ball joint at the end and a special control arm which snaps onto two A-arm ball joints and contains another ball joint for a steering linkage connection. These parts were obviously designed to be used with a sprung, steerable axle. To also function with the above parts, there's a new smaller steering rack (1x2) with ball joints at the end. This rare part was only ever used 3 times, and the next would be 7 years later. A lovely cam was released with 4 separate axle holes to allow a variety of connections. The outer profile allows rotation about any axis to be eccentric. Oddly, this part have never been used as an actual cam like we would expect to see in an engine, for instance. A new ball joint was introduced to supplement the existing axle pin with a ball joint at one end. In this case, the ball joint is attached to a friction pin. A new differential gear was released which would be used for decades. It is smaller than the old model and has 24 teeth on the ring gear instead of 28 like the older one. The older one also used a crown tooth profile for the ring gear, but this one uses a spur gear. There are different ring gears at either end with 24 and 16 teeth allowing versatility in gear ratios. This part only ever came in dark gray. Here's a magic little part. It slides over the ridged axle joiner which we first saw in 1993. Small tabs on the driving ring allow it to lock along these ridges, but still slide with some extra force. The driving ring grips the longitudinal grooves on the axle joiner causing them to rotate together. A circumferential groove in the middle of the ring allows it to be pushed along the axle joiner in either direction. A set of 4 driving dogs on either end then mate with a 16 tooth idler gear allowing the idler's rotation to be either synched with the axle or allowed to spin freely. 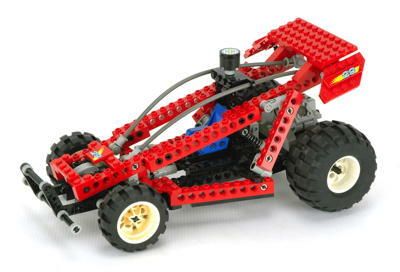 This remains, to this day, one of the most mechanically clever parts in all of Technic and made the selectable transmission possible. This was used in the future both for changing gear ratios and for selecting among multiple functions. In the image at the right, the driving ring is shown in red. The lower axles are joined with the gray axle joiner. 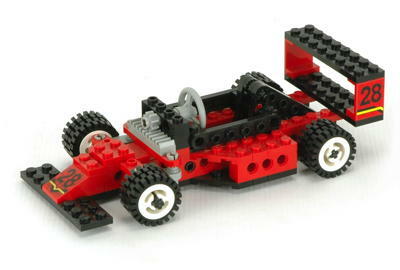 The driving ring rotates with the axles. At first, the driving ring is disengaged so both the dark gray and green gears are not driven and slip on the axle. The driving ring then engages the green gear and thus drives the blue gear. Because the driving ring does not use gear teeth but rather uses four tapered driving dogs, there is considerable backlash between the driving ring and the gear. The allows the driving ring to be engaged even while it and the mating idler gear are turning at different speeds. 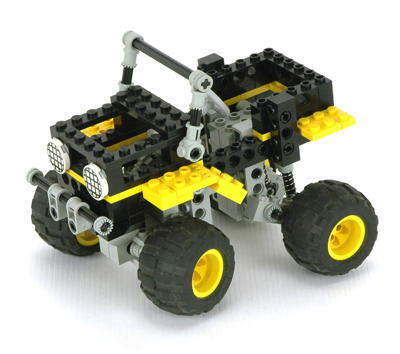 There are also a number of parts which are unique to set 8880. These include a shifting gate, a shift lever, a steering hub, and a wheel bearing. 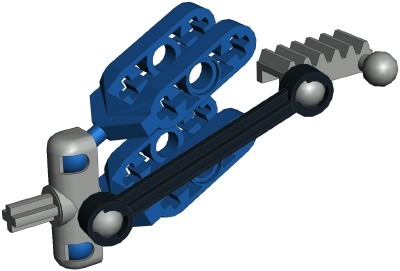 These unique parts and their function are described on the page for 8880. Contact me with comments on this page.